Today was Day #3 of Milk Chocolate Theme Week. 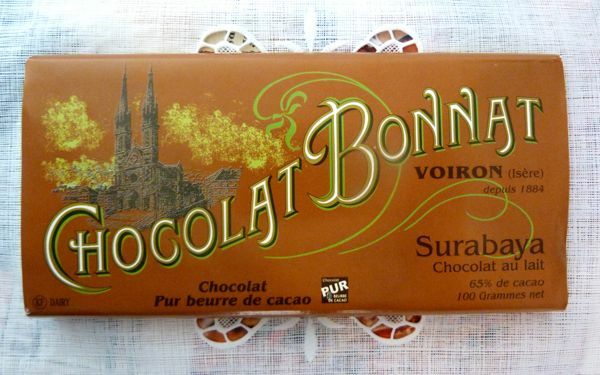 The choice of the day was the Surabaya Chocolat au lait (milk chocolate) bar from Bonnat Chocolatier (Voiron, Isere, France, since 1884), with cocoa from three origins: Asfarth, Java and Surabaya, Indonesia. This attractively packaged bar was "65% de cacao." Once again, a shorter ingredient list correlated with higher quality. The four ingredients were: cocoa, cocoa butter, sugar and milk powder. The consistency was in the "European style" -- that is, possessing a pleasing, creamy smooth mouth-feel. 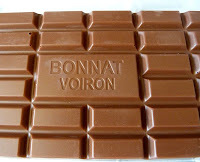 Because cocoa was the first ingredient (ahead of cocoa butter and sugar) there was a hint of richer chocolate aroma and flavor than is often detectable in overly sweet bars. 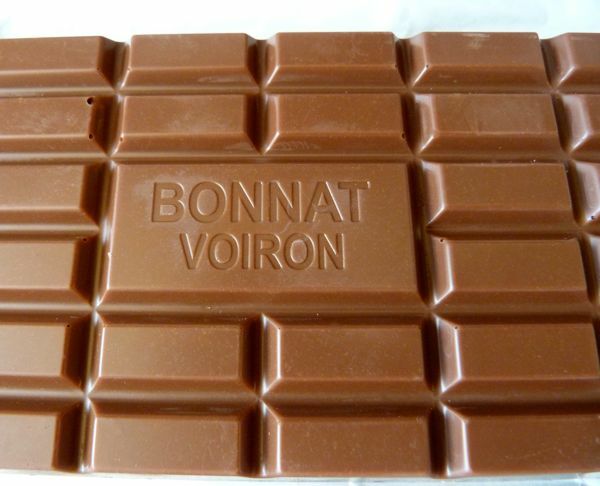 Vive le chocolat.